DBA’s mission is to continually expand its core competency to support its customers. In this case, prior to DBA being awarded this contract, DBA had designed several aircraft components for Woodward, including a centrifugal boost pump for the engine main fuel pump and a fuel distribution valve. Woodward was therefore familiar with DBA’s technical staff and their capability. 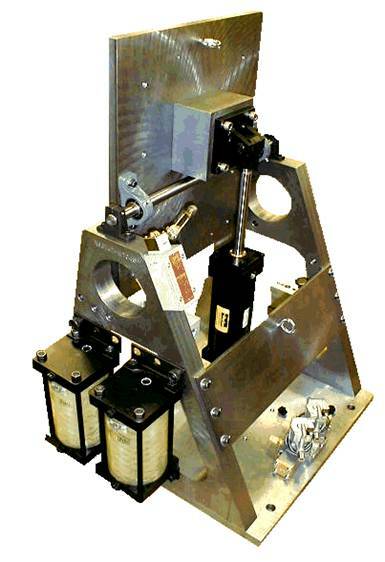 So when Woodward found itself short handed when it came to designing a custom tilt rotor test stand to test its aircraft main fuel pump and control system that would be installed in the V-22 Osprey aircraft, DBA stepped up to do the design, analysis and fabrication of this piece of test equipment. DBA engineers quickly coordinated the requirements, developed a concept, conducted design reviews and selected and procured the required components, and released drawings for manufacture to local fabrication shops in CT who machined, assembled and tested the test stand prior to shipment to Woodward. This work was completed on time, within budget and met all the functional requirements.